Trim and Extend tool doesn't work with Grid and Level. Extent end of Grid and Level have two modes: 3d model extent mode and 2d view specific extent mode. It's not easy to switch between two extent modes and drag their ends, especially if there are lots of Grids or Levels. It's tedious to click one by one to show or hide bubbles of many Grids or Levels. ReviTea Datum tools could make your work easy. 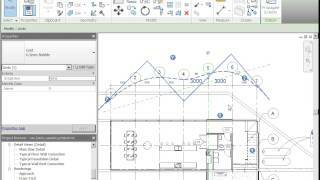 · Trim Grids tool works similarly to the Trim and Extend tool of Autodesk Revit®. With it you can easily trim or extend one or more Grids to a boundary defined by Grid, Level, Reference Plane or Detail Line. · Trim/Extend Grid 3d: Trim or extend Grid 3d extents to the reference (Grid, Level, Reference Plane or Detail Line) as a boundary. Grids 2d extent will switch to 3d extent. · Trim/Extend Multiple Grids 3d: Trim or extend multiple Grids 3d extents to the reference (Grid, Level, Reference Plane or Detail Line) as a boundary. The extent end of a Grid that is close to the boundary is trimmed or extended. Grids 2d extents will switch to 3d extents. · Trim/Extend Grid 2d: Trim or extend a Grid 2d extent to the reference (Grid, Level, Reference Plane or Detail Line) as a boundary. Grids 3d extents will switch to 2d extent. · Trim/Extend Multiple Grids 2d: Trim or extend multiple Grids 2d extents to the reference (Grid, Level, Reference Plane or Detail Line) as a boundary. The extent end of a Grid that is close to the boundary is trimmed or extended. Grids 3d extents will switch to 2d extents. · Set Grids 3d Height: Set Grids 3d (model) extents in vertical direction by defining levels and offset. 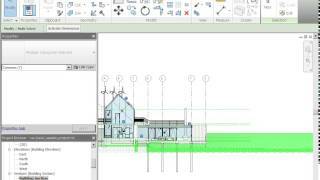 · Trim Levels tool works similarly to Trim and Extend tool of Revit. 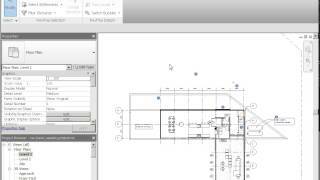 With it you can easily trim or extend one or more Levels to a boundary defined by Grid, Reference Plane or Detail Line. · Trim/Extend Level 3d: Trim or extend Level 3d extents to the reference (Grid, Reference Plane or Detail Line) as a boundary. Levels 2d extent will switch to 3d extent. · Trim/Extend Multiple Levels 3d: Trim or extend multiple Levels 3d extents to the reference (Grid, Reference Plane or Detail Line) as a boundary. The extent end of a Level that is close to the boundary is trimmed or extended. Levels 2d extents will switch to 3d extents. · Trim/Extend Level 2d: Trim or extend a Level 2d extent to the reference (Grid, Reference Plane or Detail Line) as a boundary. Levels 3d extents will switch to 2d extent. · Trim/Extend Multiple Levels 2d: Trim or extend multiple Levels 2d extents to the reference (Grid, Reference Plane or Detail Line) as a boundary. The extent end of a Level that is close to the boundary is trimmed or extended. Levels 3d extents will switch to 2d extents. · Switch Bubbles can show or hide multiple Grids/Levels bubbles according to a boundary defined by Grid, Level, Reference Plane or Detail Line. You could change “[default]” to a propriate tab name such as “ReviTea”. It shouldn’t be Revit built in tabs like Architecture, Structure, System, Insert, Annotate, Massing & Site, Collaborate, View, Manage and Modify. I used this tool in 2018 version and it's very handy and usdful. Can you please release the 2019 version as well? Much thanks! 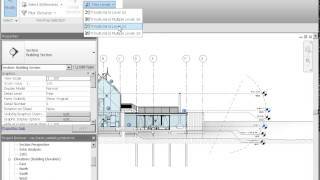 Hello, Is there also a version compatible with Revit 2015? Very useful app to quickly edit extents/ show grid bubbles on other side of gridline, etc. I have one issue though, is that when using the tool, it doesn't update the view and show the changes until you make an edit to the "Extents" section of the properties window for the view. This can make it confusing if the tool actually worked or not - It should auto refresh the view so you can see the changes that the tool made right after finishing the tool. this tool just hide @ one head ,for other head this does't working , can you update ? Can we expect a 2017 version? Thanks. Really helps to elimimate tedious task of unlocking and aligning grid lines one by one! Thanks! I have always hated trying to grab a the end of each level or grid to move it.